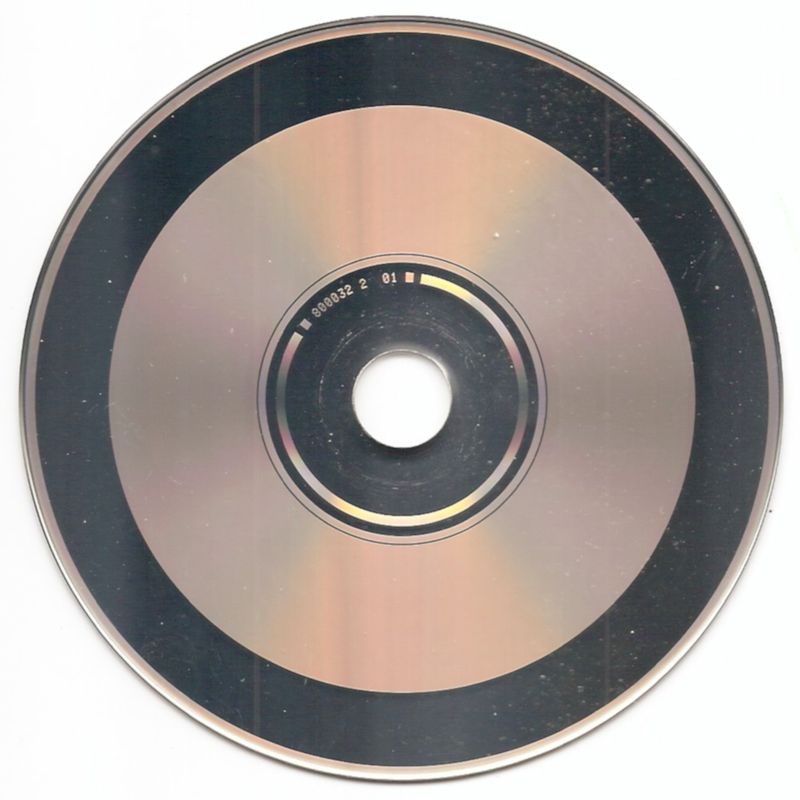 Most West German Target CD pressings have a band with a width of about 2 mm (0.08 in) on the outer edge of the disc, which is called the outer mirror band. Its only purpose seems to be to make the text that is printed around the perimeter more readable. 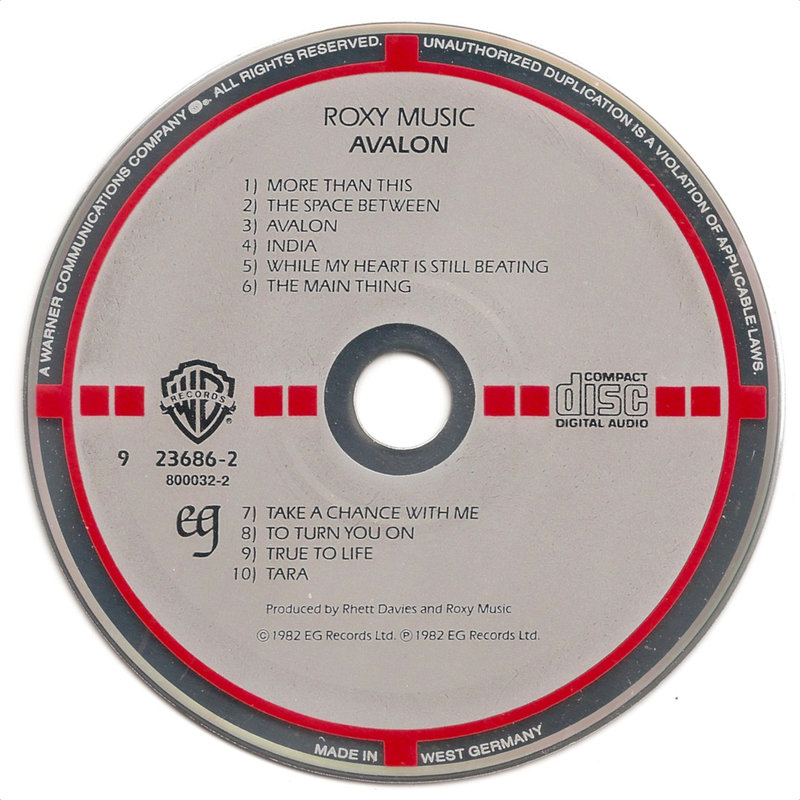 The variations of Roxy Music's 1982 effort Avalon that are featured in this article, are different. 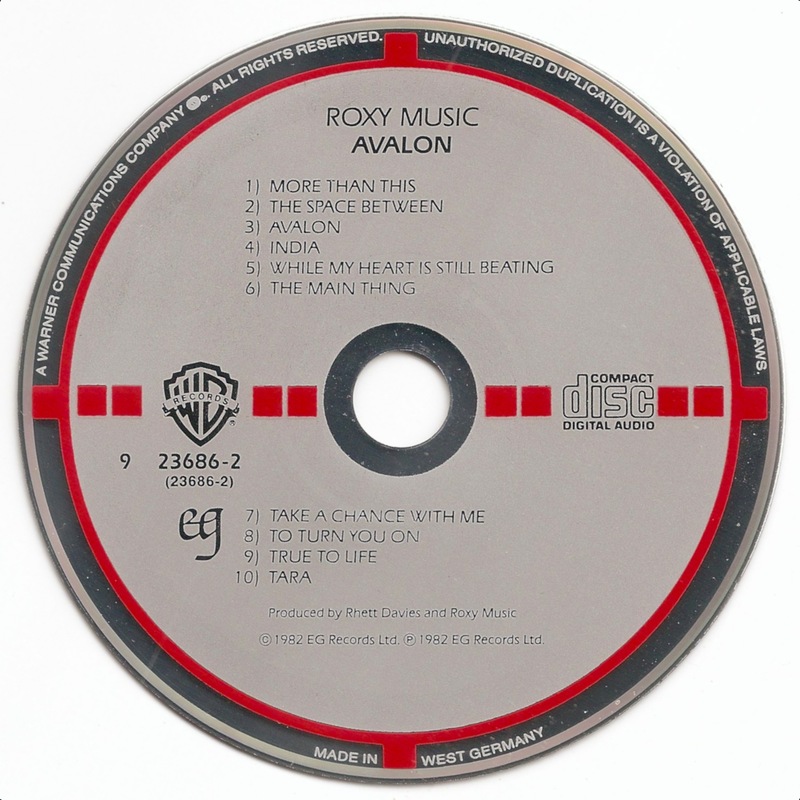 In stead of a small band, the mirror band on these CDs is about 11 mm (0.43 in) wide. In fact the mirror band on these target variations is exactly the same as that of the red-faced Polydor pressing of Avalon, with which they also share the same matrix number (800032 2 01). So far I have acquired three different variations of these wide mirror banded targets: the main catalog number on the first two copies is 9 23686-2 whereas on the third one the preceding 9 is omitted and is printed with a fond size that is visibly larger than the one used on the two others. 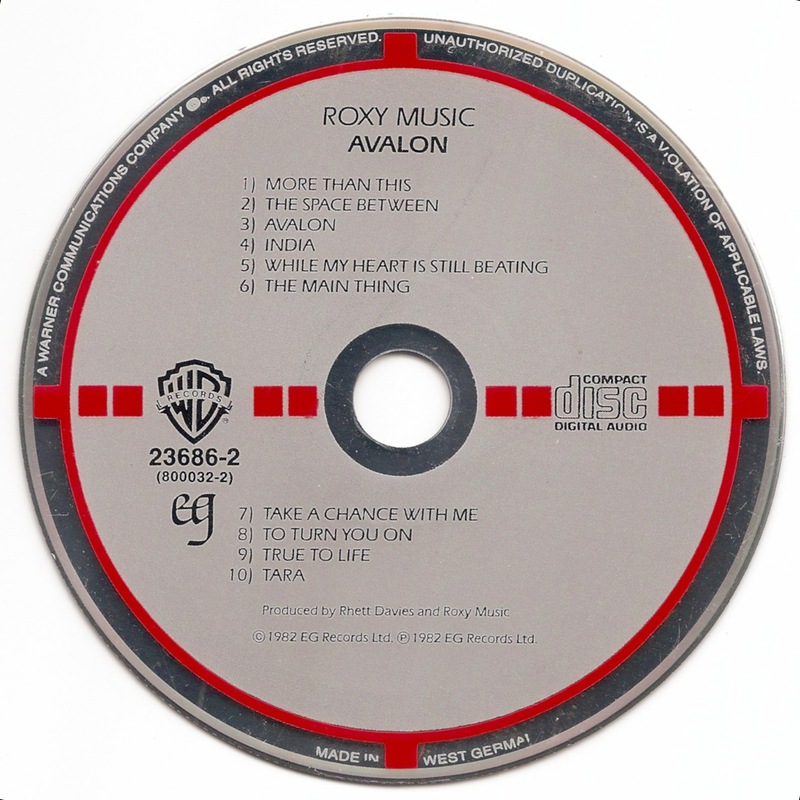 The secondary catalog number on the first copy is 23686-2 and is put between brackets. On the two other copies this secondary catalog number is 800032-2, one with and the other without round brackets.